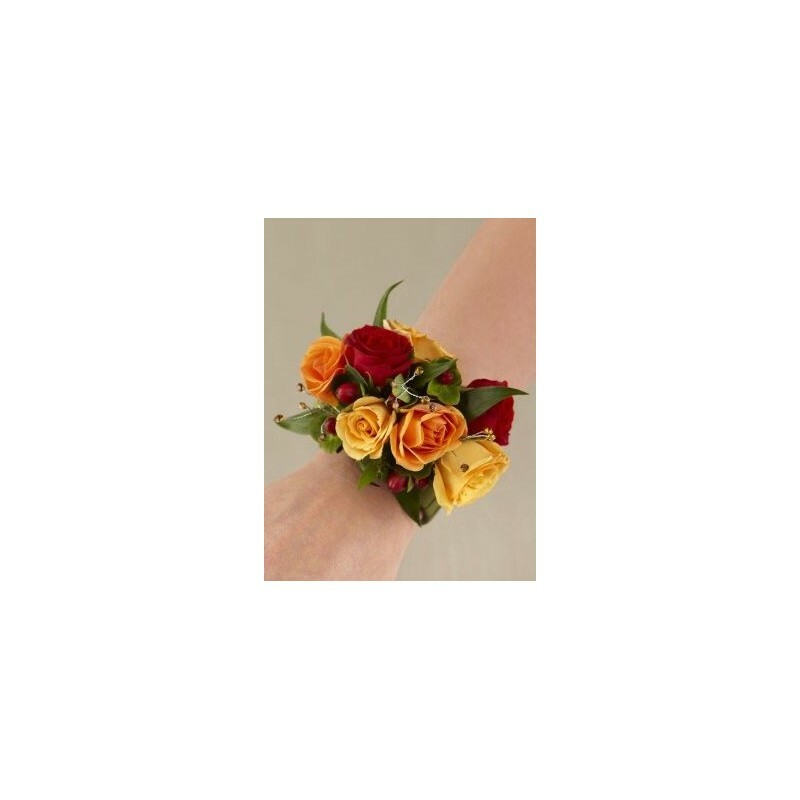 Featuring a red hypericum and spray roses in red, orange and yellow with ruscus set onto a Diamante bracelet trimmed with rhinestones. All our flowers and gifts are expertly arranged and prepared before leaving our shop to be delivered, and we make sure each one that goes is of the best quality and is perfect so the reciprocate can enjoy the gorgeous flowers. Dundee flowers supply only the freshest flowers in our bouquets to ensure your flowers last as long as possible and look stunning. Our suppliers in Holland send our flowers directly to us to ensure premium quality and longevity. Each arrangement is carefully gift wrapped with the appropriate wrapping and with the important little touches and finished off with a ribbon. 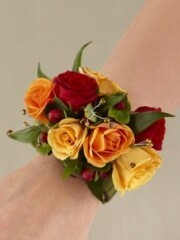 You can relax in the knowledge that we will ensure the flowers are presented beautifully, ready for delivery. All of our flowers come in water to preserve their freshness and also a little flower food to make absolutely sure that the flowers we supply with be lovely and fresh. Your florist in Dundee will make sure the card message you want to send is presented neatly and accurately in a beautiful greeting card. Standard Delivery (Next Day or future) You can easily let our florists know the preferable date of delivery if the flowers are for a special occasion or particular date and our florist will deliver on the day of your choice. Same Day Delivery - as long as the flowers are ordered before 3pm we can deliver on the same day, so if you have any last minute delivery requests it’s not a problem! AM or PM if it is preferable for your order to be delivered either in the morning or afternoon our florist would be only too happy to ensure they are delivered at the suitable time. When it comes to flowers, Florists Dundee have a wealth of expertise because we have been delivering in Scotland for over 40 years. At Dundee Flowers, we pride ourselves on the quality of our flowers since we do everything we can to ensure that all of your arrangements are always made from only the best flowers. Everything we use at Flowers Dundee is imported to us directly from Holland where the flowers are cultivated so that we can ensure your arrangements are always beautiful and have a fuller, longer life. Dundee Flowers consider your needs our top priority at all times which is why we put every effort into making sure you’re always satisfied with everything we do. Here at Expert Florists Dundee we have many arrangements available that have been designed to suit any occasion you have in mind, including birthdays, anniversaries, congratulations and even bigger events like weddings. We want you to know that you can trust Flowers Dundee to provide something ideal whatever the occasion because we can create wonderful arrangements for whatever you need. There are so many different colours and varieties of flowers here at Flowers Dundee that whomever you want to treat there’s sure to be something they will love. Our Florists Dundee love delivering flowers and gifts because we love bringing smiles to faces by delivering wonderful presents on your behalf. We know that any of our Flowers Dundee arrangements is sure to brighten up someone’s day but if you need a little help choosing you can always contact one of our Florists Dundee who will be delighted to help you decide what will be appropriate to your occasion and recipient. 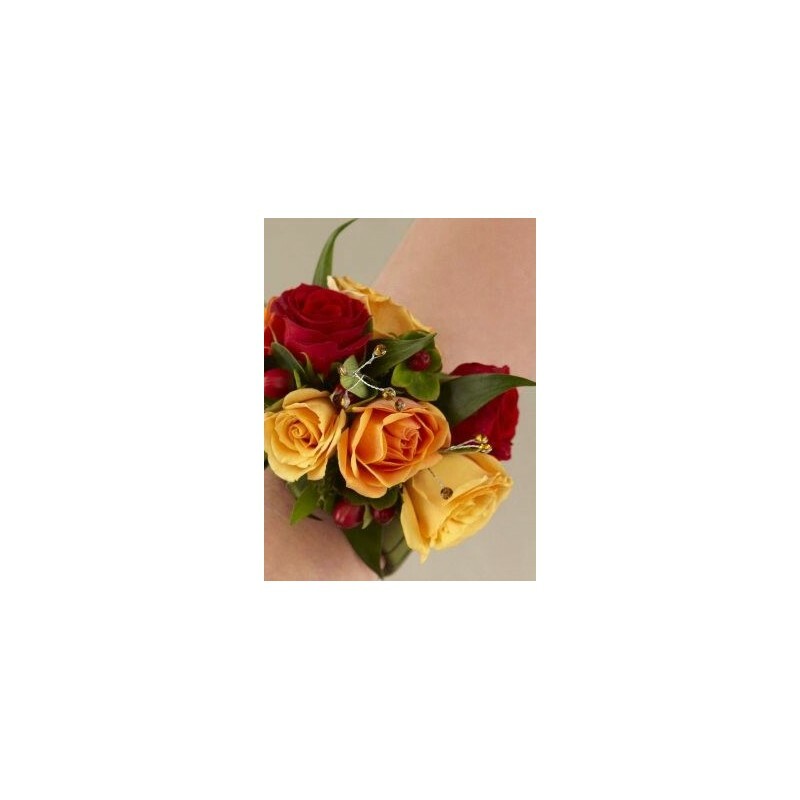 Dundee Flowers offer a bespoke service so that if you know exactly what you need you can share your preferences with our Florists Dundee who will make sure to create your order exactly as you need it to be. We always make everything to order here at Flowers Dundee because we want to ensure the freshness and beauty of your arrangements and we know that this is the best way to bring you quality at all times. When you order from Flowers Dundee you know that your flower arrangements will be made up with you in mind because we care about every one of our customers and want to ensure total satisfaction with everything we provide. 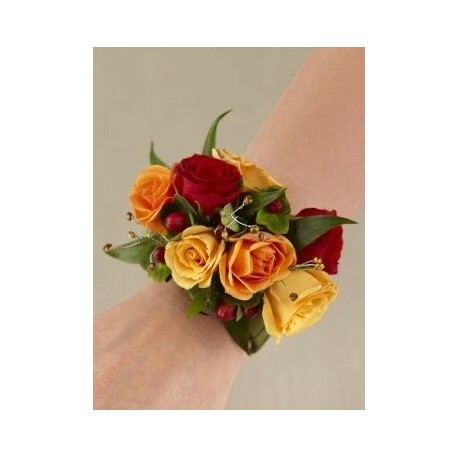 When it comes to service our Florists Dyce are always helpful with whatever you need. Copyright Used with permission of Interflora British Unit. Four Seasons Florist Ltd trading as Dundee Flowers. © 2017 Dundee Flowers, All Rights Reserved.